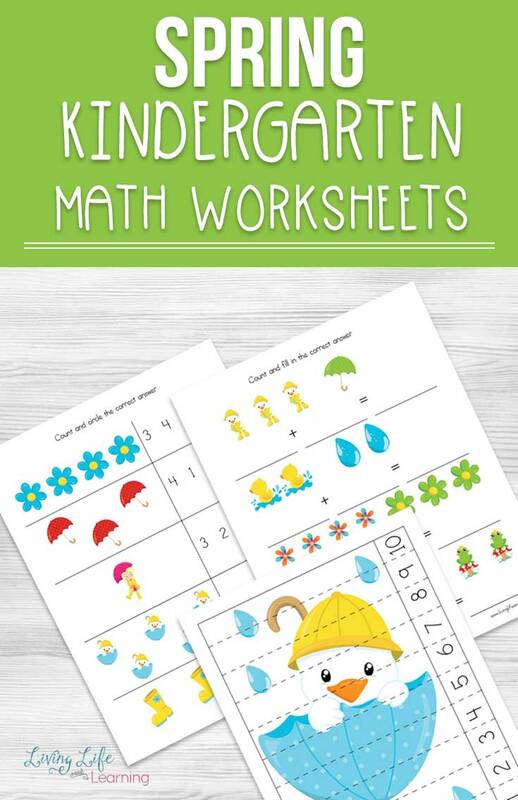 These Spring Kindergarten Math Worksheets are festive, fun and educational all wrapped up into one! 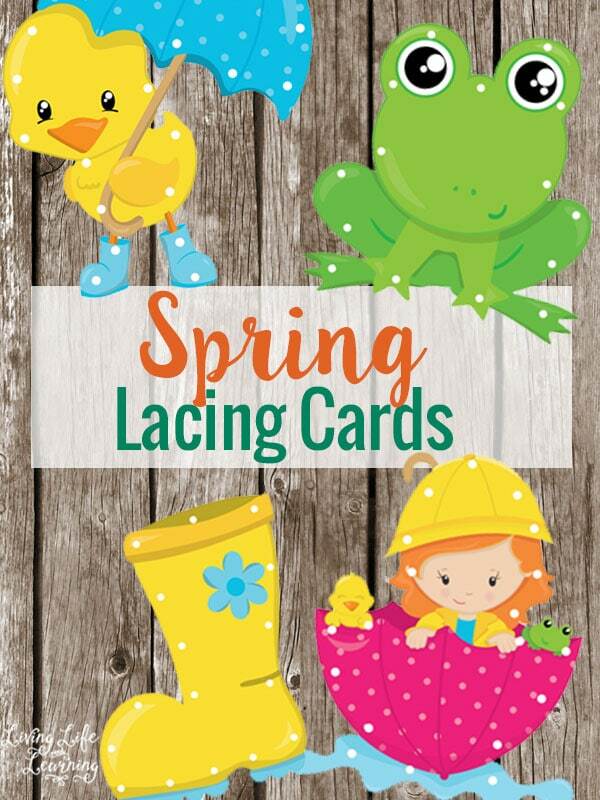 Your little one will love hopping into Spring learning with these printables! No one wants boring kindergarten math worksheets, but sometimes your kids need them to learn or reinforce a concept that they are taught. The good news? 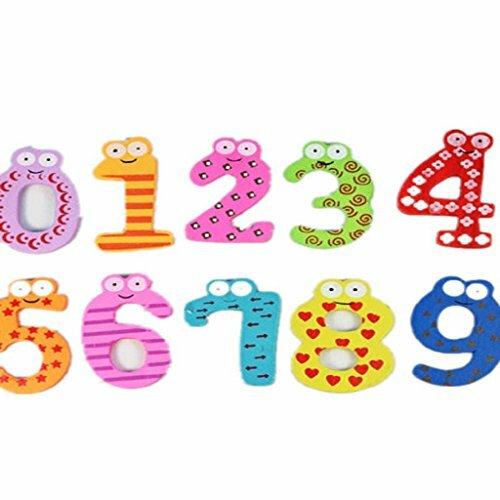 You can make math fun with these adorable spring kindergarten math worksheets. Seriously, look at how cute they are! I just love the bright colors and how easy they are to see and read. These worksheets come with two number sense, two addition, two subtraction, two skip counting, and three puzzle pages. If your little one isn’t a fan of writing, at this age, I’d write down the answers for them. Just because you hate to write doesn’t mean you can’t learn math. And honestly, the more that they combine them together to learn, writing will start to be less of a chore and they’ll see that they can have more independence doing it. Once they see these fun math worksheets, they’ll be off to the races to get them completed on their own! There’s something so great about watching the confidence of your child soar when they’re doing something fun and exciting! that she likes to add her worksheets to. The puzzles at the end of the printable can be printed on card stock for a more durable option. I highly suggest putting a sheet protector on so you can use them over and over again. We do that and keep some in the car for when we’re traveling down the road. 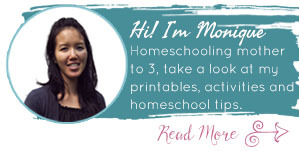 It’s a great way to keep little hands busy and minds active during times of sitting. 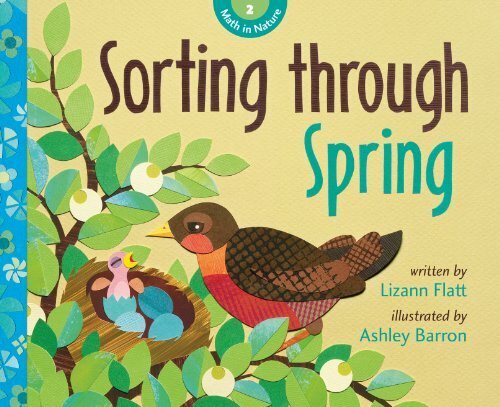 Don’t forget about the Spring books! 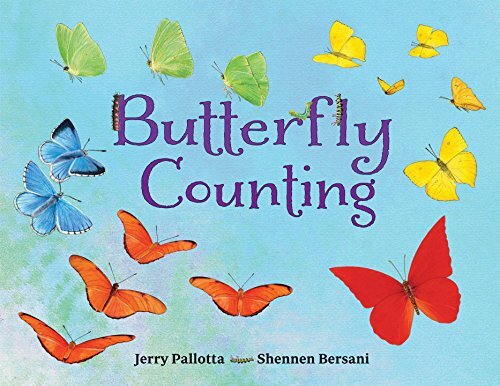 I always pair up a fun reading book with the learning lesson of the day! These are some of our favorites that we’re excited to share with you! Get your printable Spring Kindergarten Math Worksheets here! 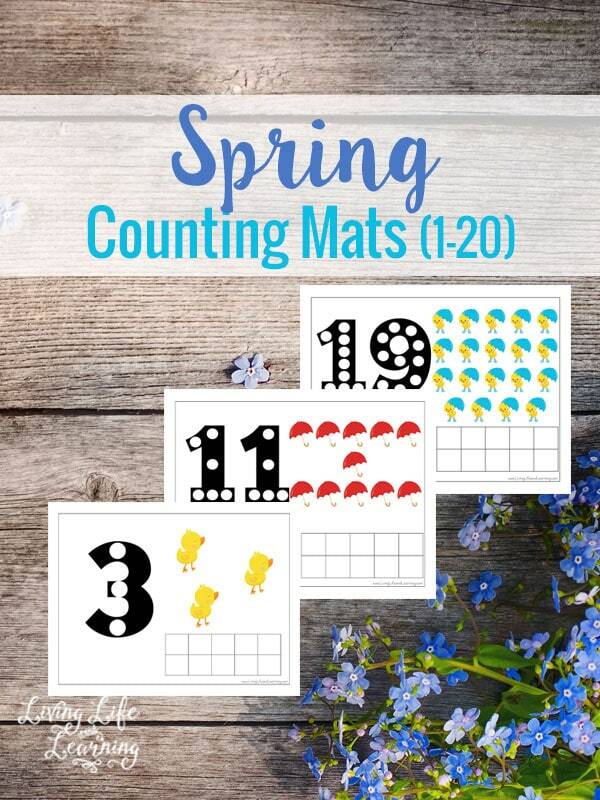 Try one of these other spring printables for counting or fine motor skills.